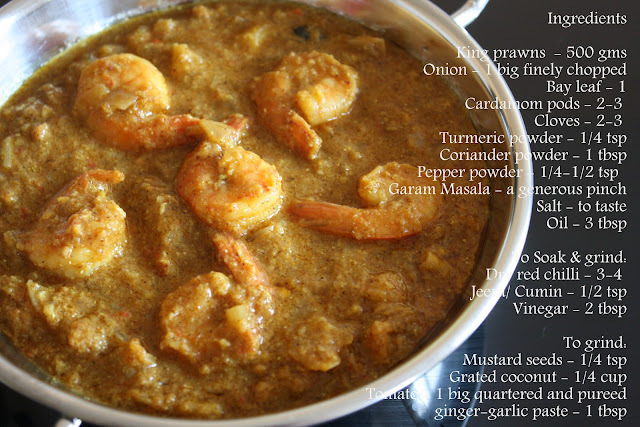 Definitely a feast for seafood lovers like me, this goan curry rocks Priya. One of the finest blog today i have seen its been pleasure to read this wonderful trip of yours. i really loved all that images which you have shared in this blog. I really keen to read more blogs of your side.anyways thanks lot for sharing this wonderful blog. different spice mix...nicely done...i love it..
Quite like a Manglorean curry too. i love to have that with hot rice. Priya dear, I love this dish of yours! 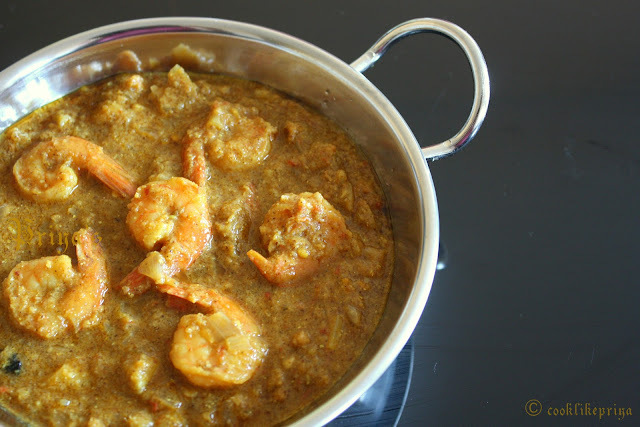 I have never attempted sea food curry but this yummy dish is so tempting me. I wish I am near so I can see you cook! As always your amazing photography showcases the food in all its glory! My mother in law used to grind raw shrimp too, your prawn curry looks so yummy!!! 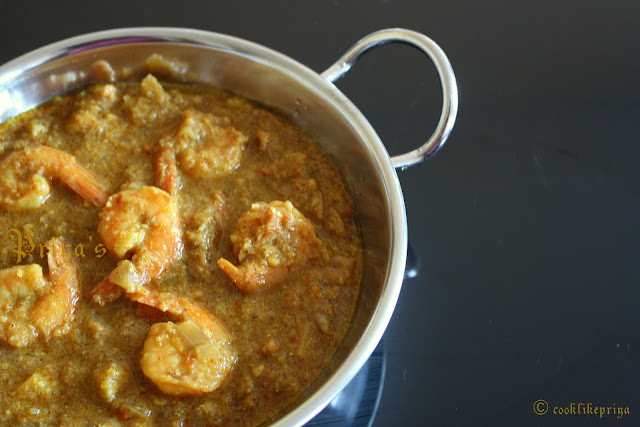 Delicious prawn curry, seafood lovers ultimate dream. never ate prawns, this looks awesome priya!